Today was a momentous day. 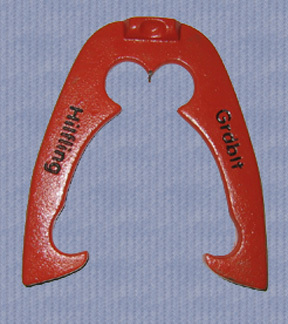 After 18 months of designing, casting, testing, revising, recasting, patternmaking, mold making and production, the Hilfling GrabIt Lite, produced the first sale. Actually, the first 3 sales. I had hoped to have the first horseshoes available by January 1st. Unfortunately, the beechwood pattern badly warped on it’s way to Illinois. The patternmaker had to return it for correction. I cut the pattern in 4 places and reglued it. I resealed it and shipped it back. Again, a little more warpage. Finally, the patternmaker cast an aluminum horseshoe and shipped it to me. Actually, it’s a thing of beauty, but, I was warned “Don’t drop it, it’ll shatter.” I handled it with kid gloves, was able to bond some new aluminum to it and shipped it back. The aluminum horseshoe became the pattern used to create the 2 up mold for the foundry. The foundry cast the first pair and sent them to me for review. Below is the the very first GrabIt Lite cast. If you’ve read my blog from the beginning, you will note that my target audience is the beginner, Elder, Women, Youth and children who flipped from 20/30 feet. I felt a lighter horseshoe that was dedicated to the needs of that fraternity of pitchers was needed. So, I decided to dedicate my first horseshoe to that audience. The GrabIt Lite weighs in at 2 pounds 4 ounces. It has all of the same characteristics as it’s big brother the GrabIt, except it’s lighter. Finding a quality web host was more difficult than I realized. There seems to be a lot of fly-by-night hosting companies, responsible for a lot of horror stories. I chose AllWebCo as my web host after a fairly extensive search. They have a fantastic template building product with excellent support and reasonably priced startup templates. They also offer a unique supply of add-on capabilities with easy to follow instructions. It took about two weeks to get everything completed and I put “Hilfling Horseshoes” online on 25 March. 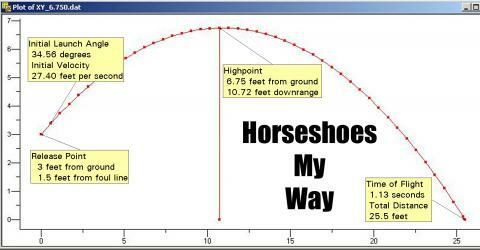 Check out the Hilfling Horseshoes web page by clicking the following URL http://www.hilflinghorseshoes.com/ . It is setup to discuss the history of the company; the reason for the design; a products page where you can purchase horseshoes through PayPal; a warranty registration page; a design page with tours of videos of the horseshoes in action, a video of typical rejects; a links page; troubleshooting page; and, individual pages describing each of the Hilflings. The company mascot “ringertime” accompanies you as you browse around anxious to talk ringers. Get close to his personal space and he’ll broadcast the unique sound of a GrabIt ringer. 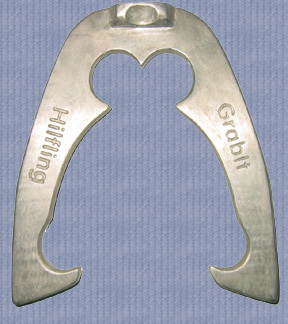 I decided to sell Hilfling Horseshoes through Ebay, as well as through the Hilfling website. This is primarily to introduce anyone shopping around for horseshoes to see the listing and perhaps pique their interest.